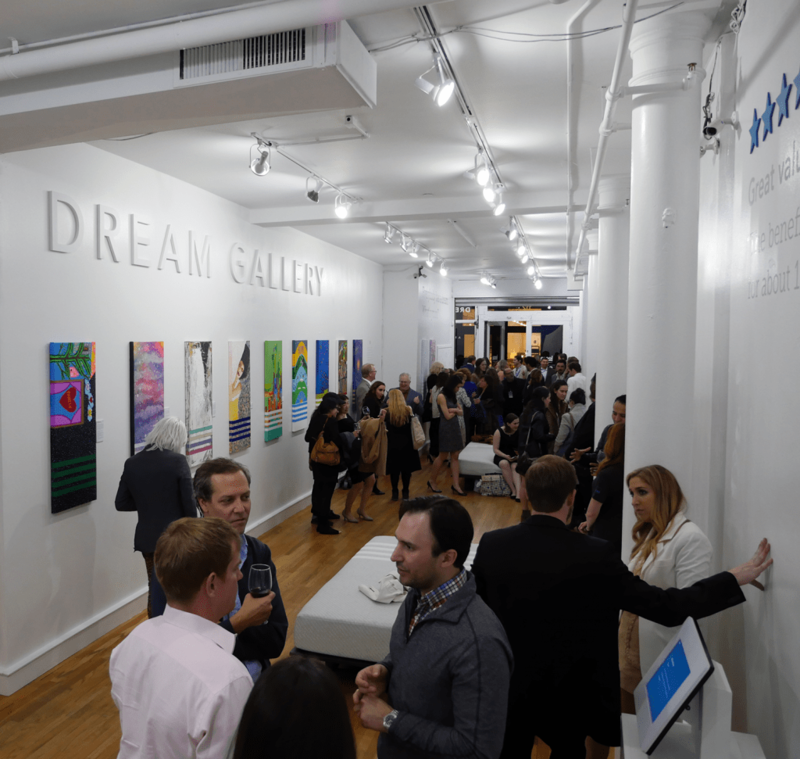 Last week I had the opportunity to attend the grand opening of Leesa’s brand new Dream Gallery in SoHo, Manhattan, New York. Over the past 6 months, SoHo, Manhattan has become an online mattress Mecca of sorts. A few of the largest and most popular online mattress companies have opened showrooms in SoHo, hoping to change the experience of mattress shopping. Most of these new stores don’t resemble much of the traditional shopping experience. There aren’t aggressive salesmen and the walls aren’t lined wall to wall with white rectangles. 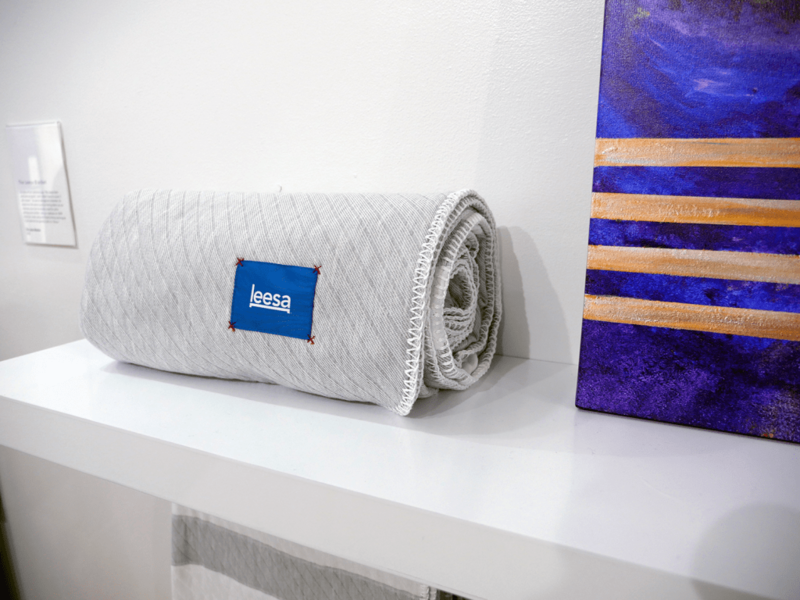 Leesa took this idea a step further with their Dream Gallery, which is a marriage of creativity, giving back, and the Leesa mattress. ArtLifting is one of the most unique and heartwarming companies I have ever seen. Their mission boils down to helping those who are homeless or disabled restore their lives. ArtLifting partners with the homeless to showcase their artistic gifts and sell them online and in galleries. When an artist’s piece is purchased, they receive 55% of the sale, while ArtLifting uses 1% for supplies and the remaining 44% to further their mission. Through this process, ArtLifting has helped scores of the homeless display their talents and give them the opportunity to get off the streets. As a company with a big heart, Leesa decided to partner with ArtLifting. This partnership has not only helped to expand awareness of ArtLifting, but has also helped to showcase some of the artist’s paintings in a more prominent area. 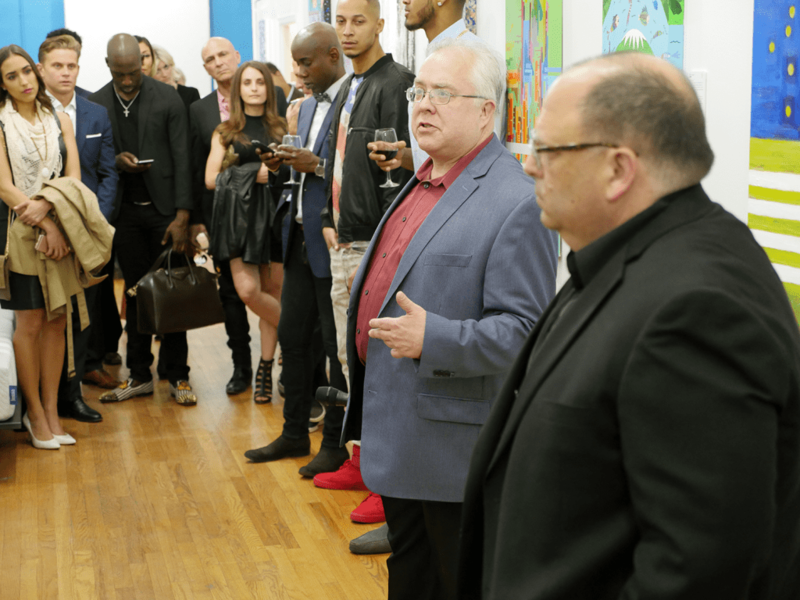 During the grand opening of the Dream Gallery, several of the artists were in attendance and had the opportunity to speak in front of actors, actresses, models, professional athletes, and many more. To hear the journey, struggle, and ultimate triumph of these talented artists was truly incredible. The Dream Gallery is not your typical mattress store. In fact, their space may be the furthest thing from. Leesa’s goal with their Dream Gallery was to showcase art from the ArtLifting program while allowing consumers to relax on a Leesa mattress. There are no pressure salesmen, instead you can learn about the Leesa and ArtLifting from digital tablet kiosks. 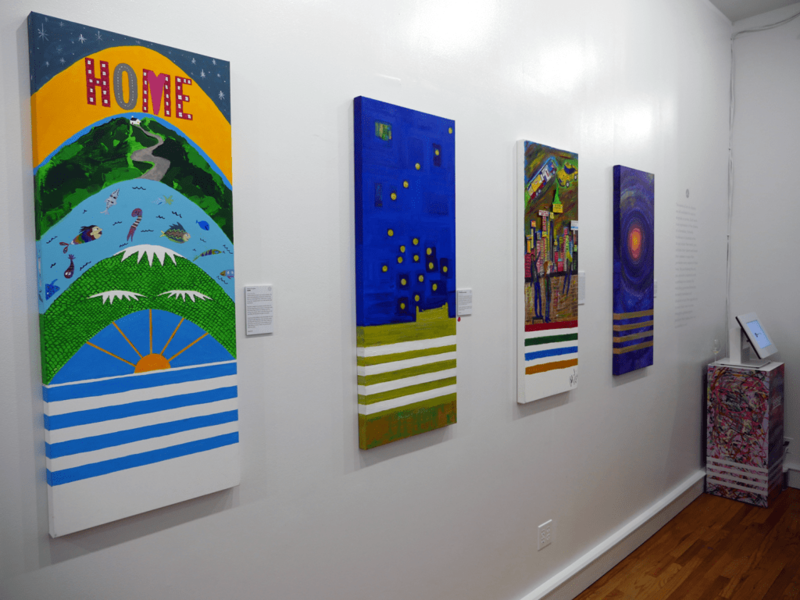 The story behind each piece of art shown in the Dream Gallery is posted right next to the painting, giving people the ability to connect with the artist on a more personal level and understand who the proceeds are benefiting. All in all, Leesa’s Dream Gallery is one of the most unique showrooms I have had the opportunity to walk through in quite some time. The combination of a welcoming atmosphere in addition to the partnership with ArtLifting truly makes for an experience unlike any other. With the opening of the Dream Gallery came a couple of newly released products from Leesa. 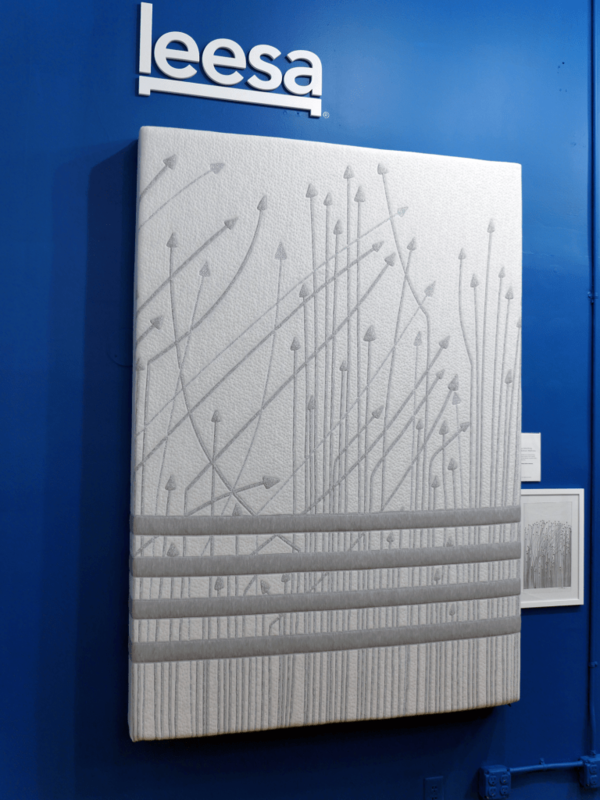 These new releases consisted of a throw blanket that is virtually identical to their original mattress cover and an ArtLifting limited edition Leesa mattress. After noticing how much sleepers enjoyed the look of Leesa’s cover, they decided to replicate that design and turn it into a comfortable blanket. The blanket is made from the same materials as their cover, but is double-sided for extra softness. Not to mention, it is 100% made in the USA. Additionally, Leesa is also showcasing their new limited edition cover. The cover was designed by Scott Benner, an artist who joined the ArtLifting program back in 2014. Leesa has decided to produce the limited edition mattress to further expand their giving back mission. Although the limited edition mattress is $50 more than the original, the $50 increase is donated directly to ArtLifting after every sale (of the limited edition mattress). The core foam layers of the mattress are still the same (and you can get the classic Leesa cover if you prefer). Since launching Q4 of 2014 Leesa has donated more than 5,000 mattresses and they continue to expand their outreach into the community. Needless to say, the opening of the Dream Gallery was quite an experience. I am excited to see where the partnership between Leesa and ArtLifting goes. Visit Leesa.com to learn more about the Leesa mattress and visit ArtLifting.com to learn more about ArtLifting. Leesa’s sight recommends ” For the optimum feel, slats should be no more than 3 inches apart.” for a foundations/boxspring. I’m having trouble finding anything like that. I am most interested in the Purple Platform Base, especially for the extra storage and airflow, but the supports are 5″ apart. Maybe the Casper foundation since we move a lot, but those slats are 4″ apart. Do you have any thoughts on Leesa’s 3″ max slat separation? Thanks! I think that 3″ is probably a little more than is necessary, however, it’s part of their warranty requirement…so it sort of is what it is. However, an easy way to use the frame you want is simply to put a 3/4″ sheet of plywood on top of it. This in effect turns it into a platform bed. You can set this plywood on top of any slat frame. Thinking of buying a split King adjustable foundation to use with purchase of 2 leesa mattresses…. Or don’t you recommend this? That is perfectly fine, Lori. Nothing wrong with purchasing a split foundation and two Leesa’s.